Thx for your running training question. I guess you are referring to my page about running for weight loss. You can play a lot with that sample program. 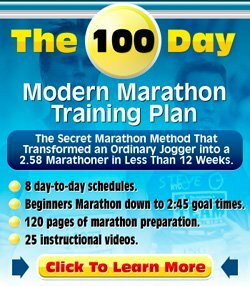 If you have trouble fitting all the different elements into the one week, then maybe don't do a 7-day program in which you try to fit all the different types of running, but work with a 14-day or 21-day program. So one week you use the sample week as shown on the page. The next week week you could replace a tempo run by a steady-state run. The other week you could replace an interval session by a steady-state run. The fourth week you'd return to the sample week as shown on the page, etc. Hope this helps. Feel free to adjust the running program to what you feel works for you. I am also trying to run a 5k and lose weight at the same time. I have made a mistake that I was running 5 times a week and did not take a rest in between. Is it ok to do everyother day stationary biking? So one day run, one day bike? Yes, that's absolutely okay. Running every day is not necessarily bad though. Even then you can use a hard/easy approach, where you have a tough session one day and a recovery session the other day. But a bit of cross-training is definitely fine!